18 years and older, psychopathy, personality disorders. The 2nd edition of the PCL-R assesses psychopathic personality disorders in forensic populations. The revisions draw upon the large numbers of articles, reports, presentations and dissertations that have appeared since the original publication in 1991. The test covers completely the domain of psychopathic traits and behaviours. It provides a Total score which can be interpreted dimensionally in terms of degree to match the “prototypical psychopath”, or it can be used categorically to help identify or diagnose psychopathic personalities. The PCL-R is administered in form of a semi-structured interview and a review of collateral information. The items are scored according to a Rating Booklet, the results can then be displayed as a profile. Expanded for use with offenders in several countries, the PCL-R has become the international standard for the assessment of psychopathy. New research findings derived from confirmatory factor analysis and item response theory are presented along with the implications of these findings for research, clinical and forensic purposes. 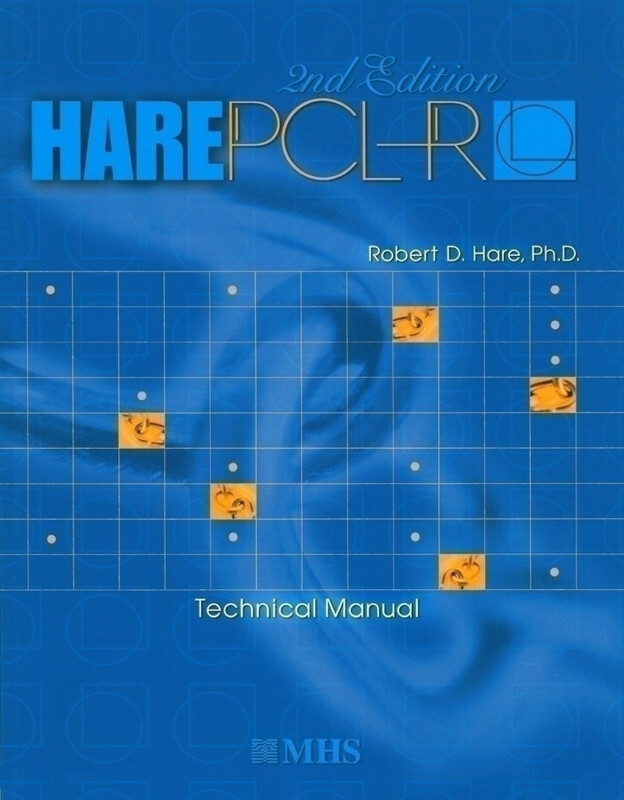 Additional to the PCL-R is a screening version (PCL:SV - Stephen D. Hart, David N. Cox, Robert D. Hare) available, which takes about half as long to administer and is an effective screener for psychopathic personality disorders. It can be used with individuals from the general population and forensic or psychiatric populations. Inquiries about concurrent, predictive and construct validity are available. Percentile and T-score tables are provided for a large sample of male and female offenders and male forensic psychiatric patients. Also there are norms for male offenders and forensic psychiatric patients who have been assessed solely on file reviews. PCL-RTMinterview section 1.5 – 2 hours, collateral review 1 hour. PCL:SVTM interview section 45 minutes, collateral review 35 minutes. 2nd Edition in use since 2005.